Just when I turn on my ranging bias, the pair suddenly trends… UGH! As you can see, the pair, after testing the 1.3000 level, broke out to the upside and staged a stellar rally. Price went on to make “higher highs” and “higher lows.” What is up with that?! My discretionary account is getting demolished! Do you have any tips on what I can do to improve my trading moving forward? Without any major economic data on tap this week, I thought I’d play the range on EUR/USD. Here’s my game plan! 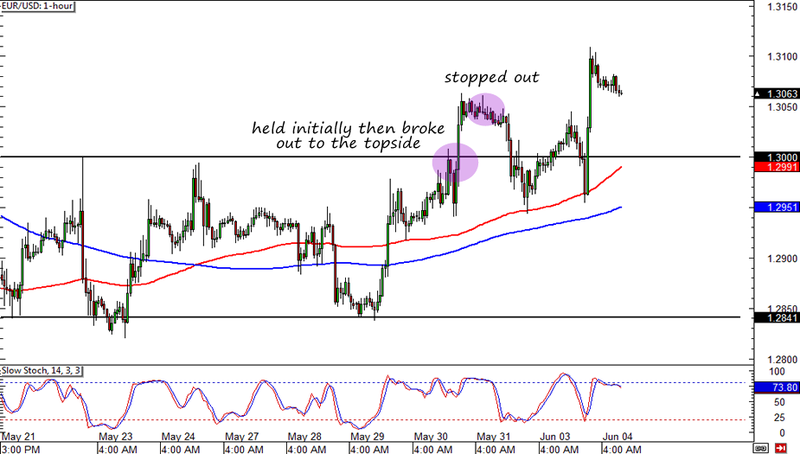 On the hourly chart, we can clearly see that EUR/USD has not been able to trade past resistance at 1.3000. I don’t think it would be any different this week. And so, my game plan is to take advantage of this range we’re seeing. I’ll keep close tabs on the 1.3000 handle and if reversal signs materialize when price tests the level, I will pull the trigger on a short trade. If I do decide to jump in, I’ll set my stop at 1.3060 and aim for the bottom of the range at 1.2850. Although the pair is in a range, I decided to side with the bears because of my fundamental bias. Last week, Federal Reserve Ben Bernanke affirmed the market’s earlier suspicions that the central bank would tighten if the economy continues to improve. It’s also important to note that market participants are starting to have faith in quantitative easing. While the euro zone is in recession, both Japan and the U.S. economies have been improving. These two nations are known for their ultra accommodative monetary policies. 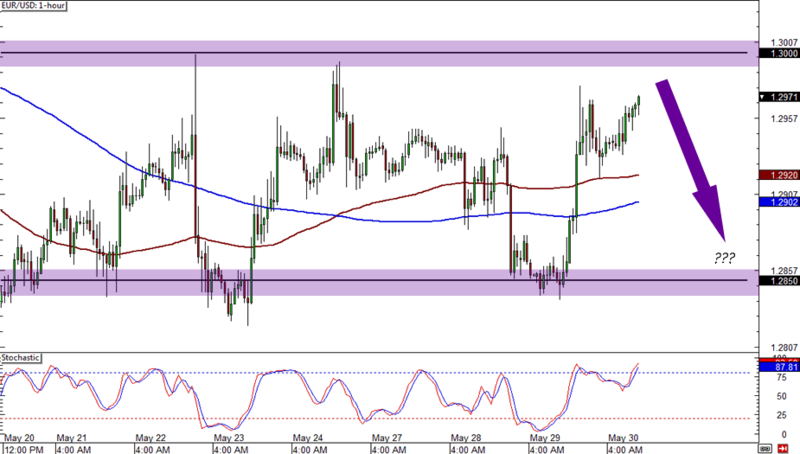 Sell EUR/USD at 1.3000, stop at 1.3060, PT at 1.2850. 1% risk. Risk disclosure.